Subscribers matter and I guess for each of our local mobile network operators that are out to wrench us from the other two networks, we really mean a lot to their bottom line. That $6 you spend on WhatsApp and Facebook every month or the $1 top up to make calls is a significant boost for Average Revenue Per User (ARPU), the true indicator of performance for mobile networks at the end of the day. The end result; MNOs try to get you to pledge some sort of allegiance to their network, something that is a huge challenge locally. After all, a huge part of the market is comfortable with owning SIM cards from the different networks and switching to the one offering the best deal at that moment. Which is the reason why, in the absence of POTRAZ regulated number portability, you had Telecel coming up with their number matching service to give subscribers of other networks (Econet more that NetOne really) reason to cross over to Telecel without changing their phone number drastically, something that has always been cited as a great inconvenience. Both NetOne and Telecel are gunning for the large share of subscribers that Econet commands. Even after a clarification of active versus non-active subscribers, Econet outpaces both NetOne and Telecel’s combined totals by over 1,5 million subscribers. I hardly think that subscribers are concerned all that much by the change in numbers that much. We are a multi-SIM country, after all. Yes, it is a concern, but that shouldn’t be the focus of any campaign to get subscribers. The only way any of these MNOs are going to be able to draw subscribers to their networks is by increasing the value proposition they offer. 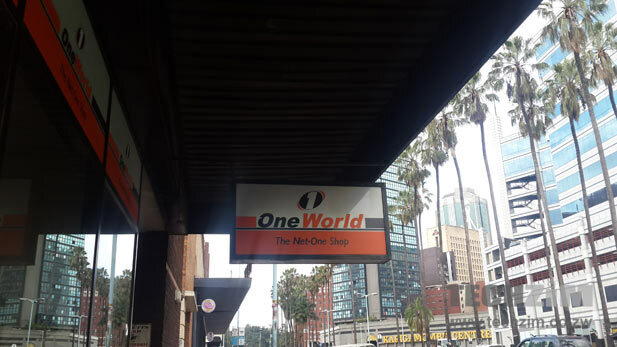 Econet, the market leader managed to grow its subscriber base on the strength of delivering the widest connectivity and presence in more parts of Zimbabwe than its competition. This took a lot of investment (something that any investor in telecoms has to consider) and at the time the biggest issue was whether or not you would be able to make and receive calls on the particular network. Things have changed, and judging from how Telecel dropped subscriber numbers it’s no longer about just offering lower prices and bonuses either. We have a more discerning type of mobile subscriber. They know that all three operators aren’t offering out-of-the-world services and switching just for the sake of it won’t guarantee any better service next door. So how should they be drawn in? The race is now focused on the variety of services and the allure of continued use of these same services. Which aptly explains the scramble for the rollout of new services going on at Msasa. Yup, there is some logic behind the over-diversification “madness” we’ve seen in the past year. While all of the services don’t warrant any applause, it shows a long-term view of how the cheese is moving. Mobile telecoms providers in Zimbabwe are the gatekeepers to internet access and for all purposes, the greatest representation of e-commerce. Which is why data services and m-commerce, as growing focus areas, are supposed to be the carrot that these networks should be focused on improving. Will NetOne and Telecel figure that out and offer people reason to move over/cross over and join their respective networks? We’ll just have to see if they work on their value proposition really. Until that happens, no amount of portability or number switching ease will cause a mass exodus from one network to another. but really Telecel you have nothing to offer me here as the article states. In my opinion if Telecel or Net*One made one simple move. Give me unlimited Gapps access. So Gmail, Calender, Domains, Google Apps Domains, Search, Plus, Messenger and Voice. I would jump ship in a heart beat. That said Econet, why not give me my 4th Christmas this year and offer an unlimited bundle? I ll gladly pay $10-$15 a month for the above. Why? Because my entire mobile life is based on Android mobile. I do not care for micro blogging, opera etc. Unlimited sync of contacts, photo upload and Google messenger would be perfect. And the kicker here is you would generate so much traffic from click through’s on search result. Take for instance google now which at the moment, checks me into my flights, gives me weather, lets me know how liverpool is doing and topics to read like techzim. Each morning I easily burn through 50Mb just catching up on news before I even leave home! retain my last 5/6/7/8… digits????? What nonsense! I mean, who in this world knows more than 5 phone numbers in their contacts boo by head? The number doesn’t matter.. Even if the last 5/6/7/8/ digits are changed, as long as the whole number has changed, a subscriber will still have to suffer in advising his/her contacts that they have to change…. WHAT VALUE IS THERE REALLY in this change your last digits???? And SHAME on NETONE… real copy cats! Saw their ad in the Sunday Mail…woooosh! Same staff, even the “go” catch phrase….